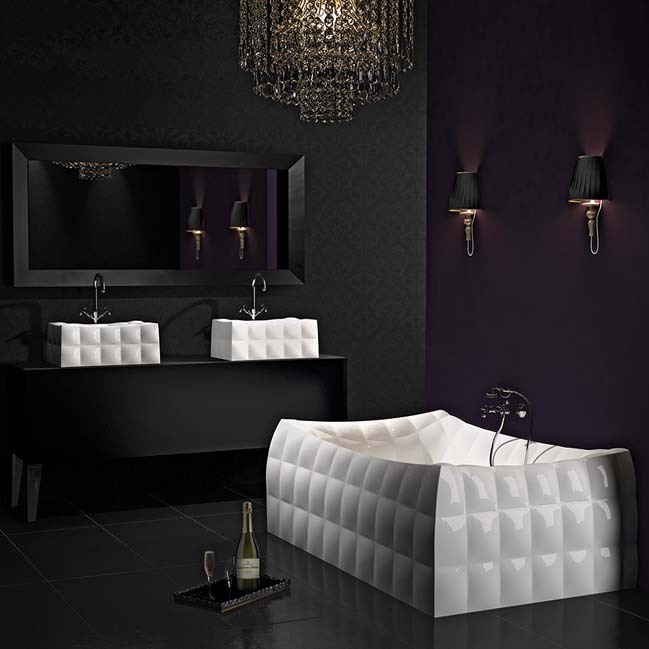 Eva Minge designed this luxury bathroom collection for Marmorin which was inspired by glamour fashion beauty. Fabulous aesthetics and care of every single detail give almost sensual pleasure of using the objects. Extraordinary shapes and surprising fashion-like structure were designed for independent people who can enjoy life full of phantasy and passion. 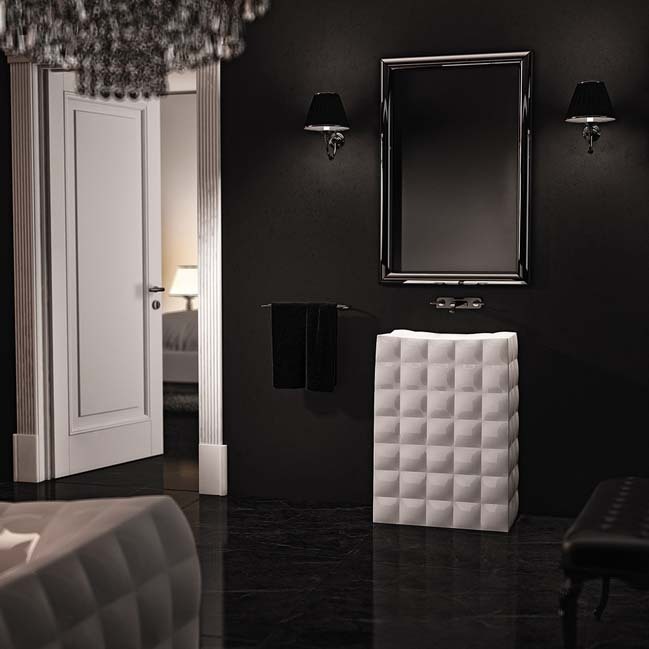 You are welcome to the exclusive asylum ensuring relax and energy, to the expressive and sensual bathroom, your bathroom.